Covering ultra-wide to wide-angle, the AF-S DX NIKKOR 10-24mm f/3.5-4.5G ED from Nikon is a 15-36mm-equivalent DX-format lens well-suited for landscape, cityscape, interior, and architectural photography. The optical design uses three aspherical elements and two extra-low dispersion elements to control aberrations and distortions in order to realize a high degree of sharpness and clarity. A Super Integrated Coating also suppresses flare and ghosting to increase overall contrast and color rendering when working in backlit and harsh lighting conditions. Additionally, a Silent Wave Motor enables fast, near-silent autofocus performance, along with full-time manual focus override, to benefit both stills and video applications. 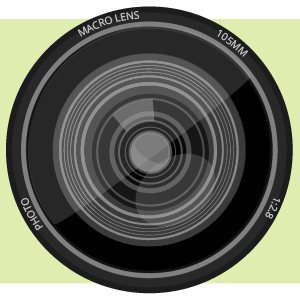 A wide-angle zoom designed for DX-format sensors, this 10-24mm lens produces a 15-36mm equivalent focal length range. Two extra-low dispersion elements greatly reduce color fringing and chromatic aberrations in order to produce greater clarity and color accuracy. Box Dimensions (LxWxH) 7.1 x 5.9 x 5.7"
will this lens work on a D5100? 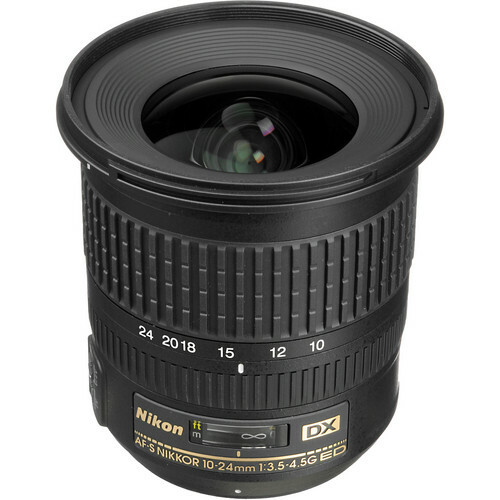 The Nikon AF-S DX NIKKOR 10-24mm f/3.5-4.5G ED Lens will work on a Nikon D5100. What does Refurbished mean? It's a used product? Any internal malfunction? Refurbished items are products that did not meet quality controls at the factory so were not shipped initially. After rigorous testing and the manufacturer has determined the product meets all specifications, it releases the product but does not want it sold as new. Therefore, a refurbished item has never been sold, meets the advertised specifications and includes a warranty which may be shorter than the original one offered for a new item. Refurbished products include all of the original OEM accessories but will not qualify for incentive promotions, instant savings or rebates. Often extended service plans available. In the end, the principle differences are the lower price and the warranty.